Welcome to The Millbrook Society. The Millbrook Society is a non-profit organization that inspires passion about preserving and protecting the rich history of Hatboro and local communities. PRESERVATION…by collecting and maintaining artifacts, documents, manuscripts, maps. PROTECTION…by archaeology, and recording and researching historical data on buildings and other assets. EDUCATION…by presentations, programs, publications, reenactments and related activities. Visit our renovated Amy B. Yerkes museum/collection and see what's new! Hatboro Baptist Church, 2nd Floor, most Wednesday evenings from 7:30-9:30 (or by appointment for groups). Click on the News & Events tab above for news on recent activities and archive. The Crooked Billet Monument is getting a makeover! In June 2018, the historic Crooked Billet Monument was removed from the Crooked Billet Elementary School grounds. It will be refurbished as the new school is constructed. Visit here to recall the history and meaning of this local treasure! Are you looking for that special gift for the historian in your life?! Looking to enhance your personal home collection? Check out what we have in store... books, DVDs, historical maps and more! Give the gift that keeps on giving... LEARNING about our local history and helping to PRESERVE it! Donate to The Millbrook Society! 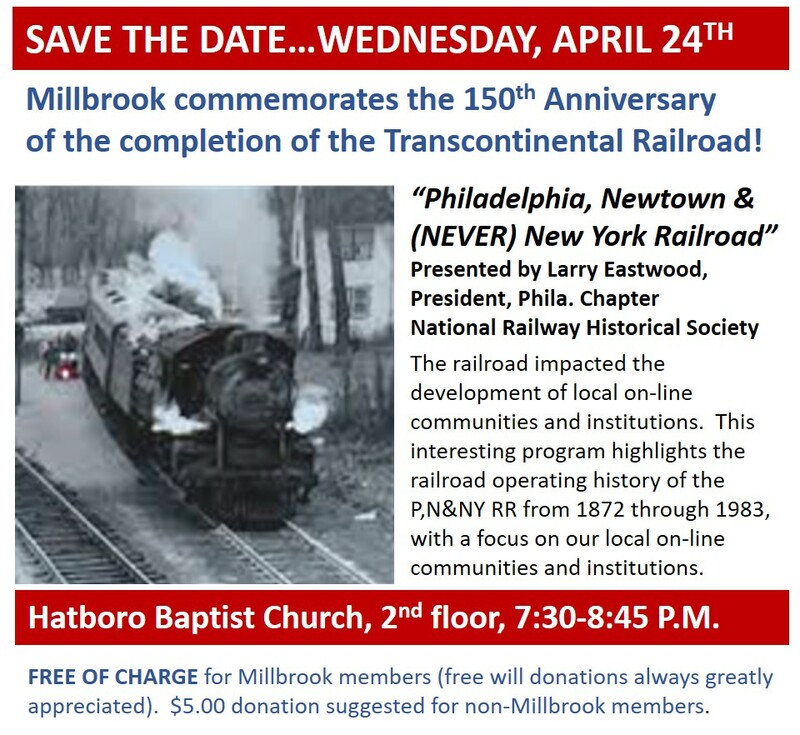 The Millbrook Society of Hatboro PA is a 501c3 nonprofit organization, so we rely on our members and friends like you to help us all fulfill the mission we ALL share: preservation, protection, and education of our local history! Membership, merchandise donations, free-will giving at our events and other forms of giving surely enable us to maintain our museum/archives and to achieve all our mission-driven activities. So, your giving truly impacts our success! 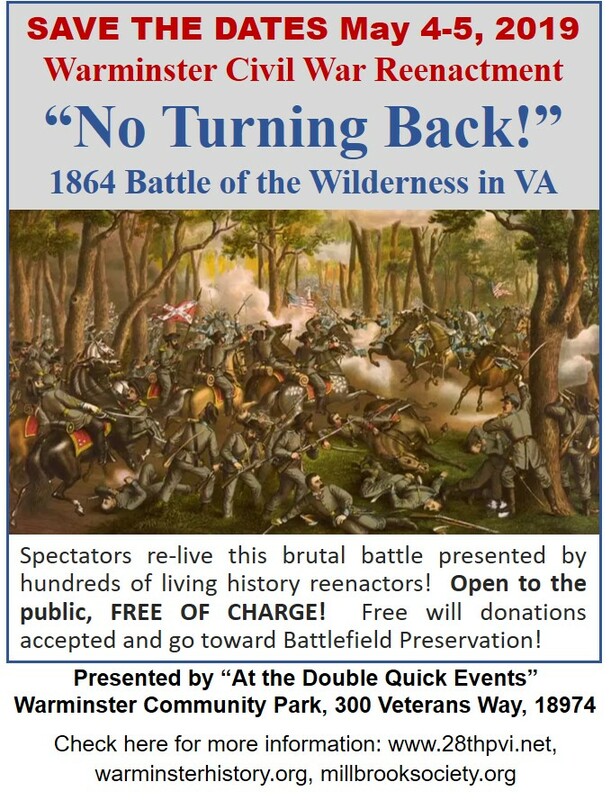 Please consider giving to The Millbrook Society in honor of a loved one, or just to be part of the community of people care about our local history. Contact us for more information on making a donation. 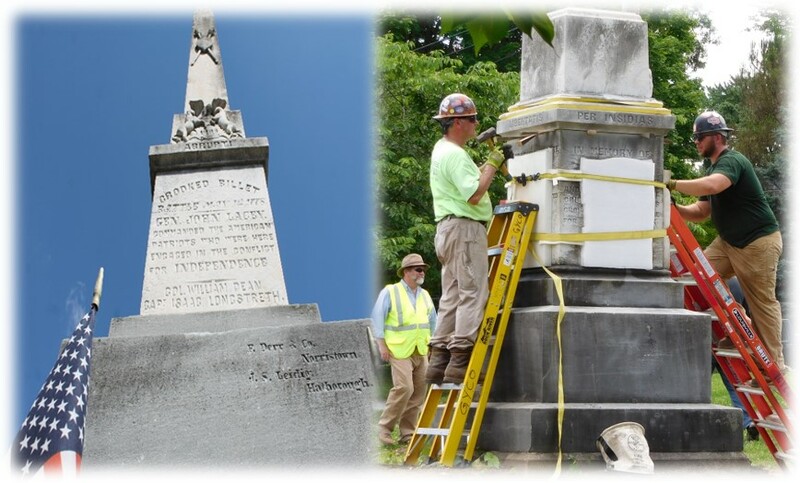 One of Hatboro’s most historic memorials is getting a makeover! 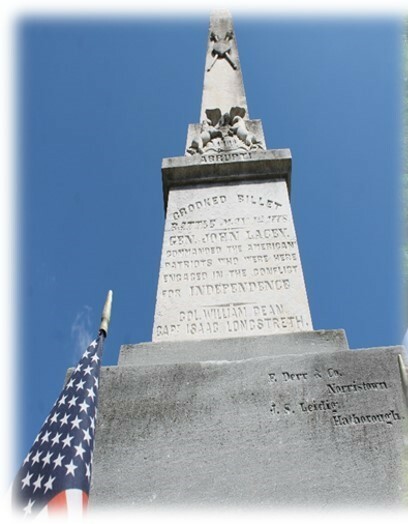 The Crooked Billet monument has been standing in Hatboro since 1861. In June 2018, it was removed from the Crooked Billet Elementary School grounds. It will be refurbished as the new school is constructed. Visit here to recall the history and meaning of this local treasure! Millbrook enjoys an active Facebook page! Click here to Visit and Like us!